Spotlight has two solid base attacks. Eye Beams clocks in at 60-90, but can be shot perpetually. She also has freedom of movement while you spam the attack, but it is of course a bit slower than usual. Halo Rings deal 50-75 on Impact and collision with enemies if used as a shield. You can also reflect Eye Beams off of them, but the damage stays the same at 60-90. Bright Eyes moves Eye Beams from 60-90 all the way up to 85-127, a very significant jump in my opinion. Heavenly Aura is her tertiary attack and it creates an effective spectacle. While shooting one out is cool to look at it, it lasts roughly 8 seconds and deals 45-67 10x if it is shot spot on an enemy. The Halo Effect offers no damage increase, but when an enemy is hit with a halo and survives the attack they will wind up sporting it and moving a lot slower. Hello Halo finishes off the base upgrades allowing you to have 4 Halos active at once, which comes in handy with both paths. This is a great path that is focused primarily on Spotlight’s Eye Beams attack. Aura Charge couples the tertiary and primary and produces lethal attack damage numbers to the tune of 180-270 when the Heavenly Aura is shot with Eye Beams. Light it Up knocks the base attack up even higher on the damage scale moving it from 85-127 all the way up to 120-180! Bling is perhaps the least productive on the path, but it allows you to throw 2 Halos at once, thus quickly taking advantage of Hello Halo. The cool part of this is that the damage moves from 50-75 to 60-90, nowhere near our other upgrades, but still significant enough to note. This is also a good path. I would consider it a bit defensive as the combined effect of Heavy Halo and Ring Shot allow you to take it easy and really orchestrate your offensive. Heavy Halo is a significant upgrade to Halo Rings effectively doubling the damage output from 50-75 to 100-150! You have to remember that in addition to doing damage on impact, enemies who pursue you and run into the Halos will take the same damage! Ring Shot lets the Halos shoot their own lasers. I was banking on this being good and not some cheesy 5-8, or 10-15; I was not disappointed. While I expected a solid laser like Eye Beams, the Halos essentially fire off singular pulses as they rotate. The best part isn’t the 360 degree attack pattern, but rather the fact they do 127-190 damage! Uplifting Experience wraps the path up and allows you to capture bad guys via The Halo Effect and then get them in a Heavenly Aura for a skycapade. The enemies are moved upward until they hit the peak and take 60-90 damage! It isn’t as effective overall as the other upgrades on this path, but it definitely looks the coolest! Spotlight’s Soul Gem is dare I say, super effective! When you have a Heavenly Aura going you simply shoot your Eye Beams into it (just like Aura Charge on the Visionary Path) and if you go for a fully cycle you will generate 4 Light Dragons that dash into enemies dealing 200-300 damage! Once again, Spotlight has two solid upgrade paths…this really does come down to what you as an individual player prefers. IF funds allow it, I would suggest you sport 2 Spotlights in your collection. The Ringer really shines in the inherit defensive capabilities it offers. If you set up 4 Halos and move to the middle of them, or behind a wall of Halos you will have 100-150 from each Halo exploding on enemies IF an enemy can get to you while the Halos deal 127-190 from their lasers. The downside here is two fold…First, Spotlight can hit a Halo with Eye Beams and instead of decking your desired enemy cropping, you might wind up locked on to the Halo. It is a minor inconvenience, but must be noted. Lastly, while the damage the Halos deal with their lasers is great (and even higher than Eye Beams full upgraded down Visionary) they do shoot at random…If they homed in on enemies we’d be bragging about that, so this has to be cited as well. Regardless of these two issues, The Ringer delivers and offers a totally unique move with Uplifting Experience. Visionary would be the path I would consider best for my play style and that is primarily due to the fact I have more control with Aura Charge and Light It Up than I do with Ring Shot. I really like the aesthetics of Aura Charge and coupled with Light it Up you’ve got rapid fire 300 damage over no time at all! However, that same sequence (shooting the Heavenly Aura) also triggers the Soul Gem. So, when you take Visionary and throw down a Heavenly Aura and beging shooting it, you will deal 180-120-200 (500!) in no time flat…then of course, you consider that you can make that happen 2-4 times in most cases (provided enemies are left) and the damage is astronomical! You really can’t go wrong with either path, but for my play style I think Visionary narrowly edges out The Ringer. Blackout’s base upgrades are actually very solid, provided you research them in a chapter, against real enemies as opposed to at the Training Grounds. Wing Whip offers up 56-84 and the Jump Attack deals 52-78. Shadow Orbs seem disappointing with only 16-24 3x, BUT when you fire the orbs against real enemies and not the dummies, you are rewarded with a 44-66 initial hit, which makes for a 92-138 cumulative dealing of damage…and that is much more in line with expectations! Blackout’s Base Upgrades get started with his tertiary attack, Black Hole. It lasts roughly 16 seconds and you can have 2 active at once…The Black Holes hold enemies in and deal 20-30 on an initial hit…You can also teleport in and do a blade attack that deals the same 20-30 damage. If you shoot Shadow Orbs at a Black Hole you get 22-33 with Darkness Overload. I’m not a huge fan of this and I never really saw an advantage over just using Shadow Orbs alone for their higher damage toll. I could be missing something as the numbers fire off quickly and are hard to catch, especially at 4 AM when I do most of this stuff. Shadow Blade at first seemed just like our jump attack, but after trial-and-error you can get the Shadow Blade rolling where it does 20-30 damage on contact and allots you roughly 12 seconds of rolling time. Take It Back finishes things off and bumps the damage Blackholes do from 20-30 to 30-45. Wing Warrior exclusively addressees Blackout’s primary attack, Wing Whip. A Spinning Finish lets you execute a ground pound of 60-90 with a good radius after a 3 hit combo and if you extend that you can get a blade dash that does the same 60-90. I like the ground pound, but found the 4th hit combo hard to execute and control…it will be a move I only use when it is done incidentally. The Wing Whip and function of the ground pound is just too effective and efficient to really bother with “going for” the 4th hit combo. You can also tailor your landing spot mid air with the 3 hit combo…a very nice bonus! Warp Speed is the last upgrade on the path, but I feel should have been second, especially since the middle upgrade addresses this move despite you not having it. Anyway, Warp Speed does nothing at the Academy, but in a combat situation it needs about a 3-4 seconds charge of the primary attack button before it reels off a lighting quick teleport that does 78-117 4 times! Whip it Up increases the damage on Wing Whip, Shadow Blade, and Warp Speed. Warp Speed jumps from 78-117 to 102-153, Shadow Blade moves from 20-30 to 26-39, and wing Whip gets a nice boost from 56-84 to 73-109! Prince of Darkness addresses Blackout’s secondary attack, Shadow Orbs. This is a great path in my opinion. Dark Energy Clouds upgrades Shadow Orbs from 44-66 on impact to 66-99. Similarly, the 16-24 damage from 3 Swirls is now 24-36, but for 8 counts! That is almost 3x the duration! That is an even bigger accolade when you consider that Under the Cover of Darkness turns out to cut damage from enemies roughly in half! That is like the old SSA +40 Armor essentially. If you were getting decked in Nightmare Mode by a troll who dealt 150 damage, he will now register 75 when you are within the Dark Energy Cloud! Most people won’t even talk about this upgrade, or consider it a waste…I consider It absolute gold! Cloud Gravity takes about 5 seconds to charge, runs about 10 seconds, and does 40-60 damage around 16x, or for the 10 seecond cycle. You can move about while doing this too…However, the big thing about Cloud Gravity is the spectacle. This is just a really cool attack to witness. It is totally unique and will definitely be something players remember. Supernova Blackhole is usually easy to execute, although sometimes you can fire off two blackholes in succession, from the same spot, only to see them wind up not overlapping. However, once they do they create a powerful suction, colorwash the screen, and then proceed to erupt for a staggering 4450-675 damage! Overall, Blackout has two solid upgrade paths. If you are a fan of the Primary Attack Wing Whip, take Wing Warrior. If you like the Shadow Orbs, go with Prince of Darkness. If you feel one of those is fine as is and the other is weak, proceed accordingly. If you use the primary attack almost exclusively you will benefit the most from Wing Warrior. If you are on the fence, I would have to give the edge to Prince of Darkness. While most people will rave about Cloud Gravity, I would argue it is the least important upgrade on the path. Dark Energy Clouds is just purely effective AND that plays in to utilizing Under the Cover or Darkness to seriously nerf your opponents. 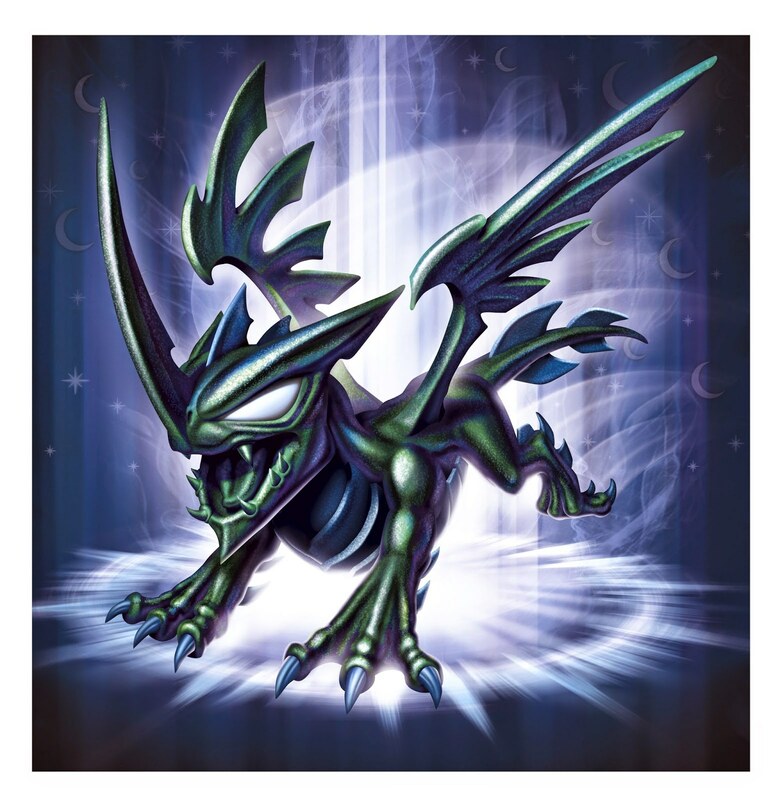 Taking 250 damage can kill you quick in Nightmare Mode, making that 125 can double your life span and be the difference between loosing a Skylander and getting a weak one off the Portal to swap for another Champion; You can not under estimate what this upgrade can do. Toss in the bonus of Cloud Gravity and you have a memorable spectacle to associate with the path as well. The good news is, regardless of your preference you get a fantastic Soul Gem! I will likely reset this Blackout to return to Prince of Darkness. Wing Warrior is very solid, but Under the Cover of Darkness is calling my name! Rocky Roll was one of my most anticipated Skylanders in Trap Team and someone who I think holds the mining light well for my beloved Earth Element. Speaking of which, do you not agree he would be a good candidate for a Light Element figure should they return? Anyway, further enhancing my interest in this character is the fact that we have a 2-for-1 with Rocky AND Roll teaming up to become one evil crushing tandem! Rocky Roll’s Base Attacks are very nice. Spit Ball delivers a really promising 82-123 and the Boulder Dash offers up a quick bit of speed and 25-37. Also of note, just moving about Rocky Roll will do 5-7 effortlessly…I guess that is the perk of being a giant boulder! Boulder Barrier is a killer upgrade that allows you to pursue 1 of 3 actions: You can utilize the boulders as a shield, launch them as projectiles, or consume them to deal more damage in Bouncy Attack Mode. Bouncy Attack Mode is playful, yet devastating…unique and practical. I feel it is good enough at this point to completely forgo the Rolling Rumbler Path. Rock On delivers increases to Spit Ball and Boulder Barrier while Moh Boulders allows you to have 6 boulders instead of 3 in Boulder Barrier, and that of course translates to the same previously cited options. This is the path for me! Rocky Roll is already sufficient for me on the secondary and tertiary sides and Geological Grandmaster’s upgrades to the Primary Spit Ball are super solid! Super Spit Ball only requires a 2-3 second charge, during which we are still mobile, and rewards us with a rock solid 166-249! Rock Hardest is a key component to this path as it increases the damage on all of the boulder attacks, including the Boulder Barrier! This moves the base Spit Ball from 98-147 to 118-177! Furthermore, the Super Spit Ball graduates from 166-249 to an earth shattering 200-300! The unsung hero though is that the Boulder Barrier that was ding 32-48 on impact and 82-123 on launch is now delivering 46-69 TWICE on impact and 118-177 on launch. Let me elaborate on that for you…Where the Boulder Barrier spawned 3 orbiting boulders that dealt 32-48 ONCE, Rock On took that to 38-57 ONCE, but Rock Hardest bumps the damage to 46-69 TWICE. Essentially what I am saying is that instead of the 3 boulders colliding with a tough enemy and going 38-38-38 and being gone, this lets Boulder 1 do 46, then Boulder 2 do 46, and then Boulder 3 do 46…However, none of them crumbled, so right after Boulder 3 deals damage, Boulder 1 is back to carve off another 46 before dissipating! That is effectively doubling a 3x attack! Each orbiting boulder, in effect, is not doing 46-69 but rather 92-138! Lastly, Triple Spit Balls lets Rocky Roll use his standard attack to triple the damage and increase the coverage! Boulder Posse takes the already formidable Boulder Barrier, enhanced with Moh Boulders from 3 to 6 to 9. 3x the carnage, 3x the fun! This plays in well for the Bounce Attack, launching the boulders, and of course just having them orbit. For my play style, Geological Grandmaster reigns supreme! I am a fan of Armor and the way Rock Hardest doubles the life span of the orbiting boulders while increasing their damage is about as close as we can get to the old school Earth Element +40 Armor. While you can launch the boulders or consume them for the Bouncy Attack Mode, my inkling is to let them orbit (3,6, or even 9 via the Soul Gem) and use it as a literal shield. While dealing great damage to enemies in any direction of me, I am able to shoot out Triple Spit Balls, or charge up a Super Spit Ball. It fits my play style perfectly because of this! If you are not of the same mindset and don’t like the thought of relying on the boulder barrier to protect you, you might prefer Rolling Rumbler. The increased roll time is nice and you get some cool moves for Roll. In the end, Geological Grandmaster is just rock solid for my personal play style and reminds me of the glory days of SSA with Dino-Rang, Bash, Prism Break, and Terrafin! Going on aesthetics only (ie how they look, NOT how they play) which do you like better? To phrase it again, "Based on looks alone, do you like Spotlight or Blackout better?" I will have the poll here on my site thru 4/30/2015 at 11:59 PM CST. I will also have the poll up on the Skylander Club Forum...To vote, you just have to create an account...it is quick, easy, and safe (I run the forum). Once this poll closes, I will likely run another where it is a PvP type poll battle. So have at it! Cast your vote and tell your friends! The poll is on the RH Side of my site, just below the Twitter Feed! Then, Mario Party 10 hit with a new line of Super Mario Amiibo AND I was able to land Blackout and Spotlight. Needless to say, things have been VERY busy. As such, I am going to just compile all the recent Skylander Unboxing vids here for your convenience. You can also find stand alone posts on the Skylander Club Forum, or by taking the link at the top of each description box. I hope to eventually update them with my usual format (FAQ and Card Stats etc). For now, I'm quite busy and content running thru Introductions and Upgrades for all thsese great new Skylanders! Head Rush is an Earth Element Trap Master who looks like a Viking version of Stealth Elf. With her Nitro counterpart, we are able to explore both paths freely. 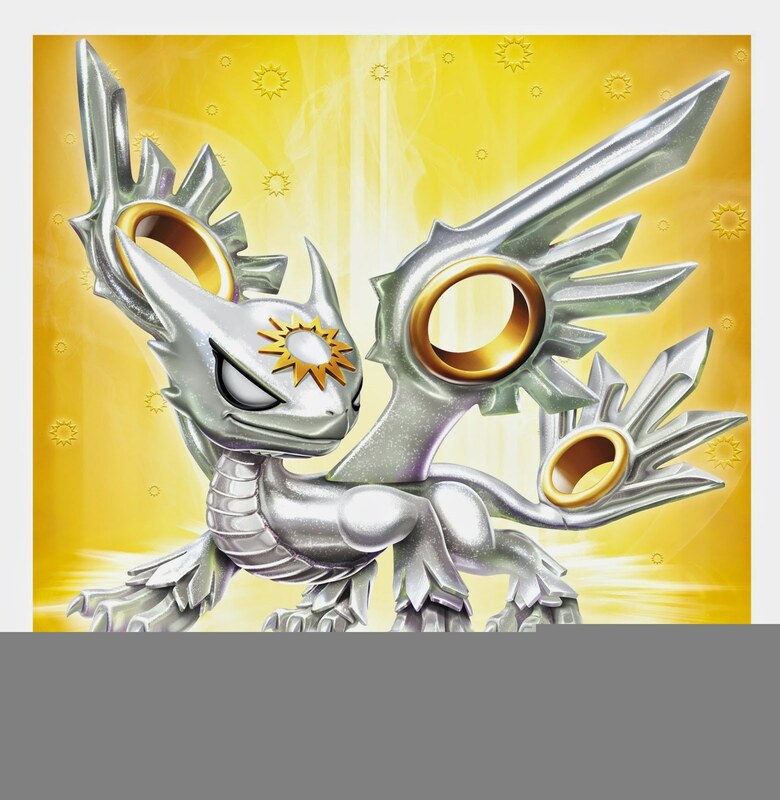 My initial impressions from Head Rush was that it was a rather unique way to bring another female Skylander into the mix, and given her name and Traptanium Horns, I had high hopes she would bring an element of speed AND the classic, brute strength to the Earth Element. I feel like before we begin, I need to disclose some information. Nitro Head Rush does have a stat boost, but not where you would want it. Nitro Head Rush has an Armor Rating of 72, which is +24 over her standard counterpart. This, however, comes at a price…a price to the tune of -40 in Health. Yep, you read right. NHR sports a Health rating of 300, while Head Rush boasts 340! The key element I was hoping to have increased, Speed, is sitting at 60 for both characters. Critical Hit is also shared at 10. I love the Armor Boost, but I feel like the Health offsets it considerably…it basically takes what would be a great advantage, and almost levels it out. If I had to pick, I would still take +24 Armor over +40 Health, but it is a trade off I’d rather not be forced to take. I’m not sure why we couldn’t have had a Nitro Head Rush with perhaps +12 Armor and +12 Speed. The Speed, being a “Nitro” variant, just seems mandatory. That said, it is what it is…let’s take a look at the attacks. Head Rush’s Traptanium Horns are a simple, straight forward force. She can head bash (tap), or dash (hold). The damage numbers are respectable at 65-97 and 30-45 while dashing (the dash lasts roughly 5 seconds). Stomp does great damage and is just really cool to me personally. I really like the impression of the crater she creates while stomping. Stomp has no “jump” attack at this point, but you can execute the head slam…sadly, it does no additional damage (now or fully upgraded). Head Rush has very nice base upgrades. Mega Stomp offers up a 1-2-3 combo that finishes off with a 200-300 devastater. Yodel is her tertiary attack and adds a nice, uniqueness to her move set. “Stomping on Air” allows us to jump and pound the ground for a 100-150 dealing of damage…I found myself using this quite frequently while playing with Head Rush. Charge Control effectively doubles the length of the charge from 5 to 10 seconds. It also bumps the Head Slam damage from 65-97 all the way up to 92-138, which I thought was very impressive for not being path specific. The charge damage also goes up, but it can do so incrementally depending on how many times you cut and turn….It will max out at 86 (129 Critical). Please note in the spreadsheet I just include the standard attack damage number as Critical Hits from her are abysmally low (guess that 10% rating is optimistic, lol). I chose this path for regular Head Rush because I wanted Nitro to have a chance at speeding up a bit down Stomp Harder. I will also concede that I thought “Forget Breaking Glass” was going to be a killer, screen cleaning upgrade. We start off with “High Note” that takes the Yodel (40-60) and elevates it to 52-78. “Modulate Yodel” offers you the ability to change the pitch of the Yodel and more importantly sends the attack damage up to 68-102. “Forget Breaking Glass” takes damage from the Yodel to a max of 85-127 and finishes off with a few 136-204 bursts. My main interest was the ground breaking, boulders flying up, and smashing down on things. This does happen, but very slowly and I never saw damage surpass what the yodel does…I was honestly hoping for some torrent of boulders to cascade down upon enemies all over the screen WITH extra damage. Maybe I over hyped it. The attack is good enough with just the base increase, but I feel it could have been really great with my desired additions. I took Nitro down this path because the strat guide mentioned increased speed and I was really optimistic. You do speed up, but it is only when cutting and dashing…there is no majestic +8 or +12 to add to the base stat of 60. That said, this is a pretty cool path in my opinion. “A Stomp to Remember” bumps the standard stomp all the way to 108-162! Similarly, the combo deals 108-108-280 with a critical ensemble being 162-162-420! Power Steering had me worried because I’ve seen attacks before that mirror a base upgrade and they usually disappoint. This one offered the same escalating damage, but up a bit. You take the charge from 43-53-64-75-86 up to 43-61-80-99-118! Both sets have critical numbers, but you just don’t see them often. “Omega Stomp” finishes things off with a really nice 140-210 and 140-140-364 Combo (210-210-546 Critical). You can also take advantage of damage while jumping. Head Rush is a unique Trap Master and one worth owning. The base upgrades are very well rounded and leave her with a solid 1-2 punch and unique 3rd attack. If you are a fan of the yodel, or opera type stuff, Lungs of Steel is for you. The yodel winds up doing decent damage and in a respectable radius. I would not consider it “long range” but it would certainly be justified as a good midrange option. If you hate the yodel, or prefer dash attacks, I would go with Stomp Harder. The path just delivers good increases at each upgrade interval. There is also a significant variance in paths here. Yodel is more of a remote attack. I don’t want to say defensive because you are frozen while yodeling and enemies can survive the damage on higher difficulty settings, or if they are hardy enough. If you are a timid player, or like safety over risk, Lungs of Steel is the way to go. If you are more of the aggressive type who just likes to get in, smash buttons, and see what happens, Stomp Harder is the way to go. Personally, I prefer Stomp Harder. I’m a fan of speed, the incrementally increasing damage is a cool twist, and I just love the craters generated from stomp. I also still hold a little animosity for overhyping “Forget Breaking Glass.” Either way, Head Rush offers two relatively diverse paths that turn out to be quite contrasting. I just feel that the Stomp attacks, head bash, speed from the dashes and that sweet boost from the Soul Gem favor Stomp Harder…plus, I don’t really get into opera stuff…That said, Lungs of Steel remains her most unique outlet. Those craters from stomp though…so cool! So, this set of vids was actually recorded December 3rd, 2014...I honestly thought I had long since released them. Nonethless, here they are and I suppose on the bright side they sync nicely with the recent release of Bades, Bushwhack, and Jawbreaker...all of which join Deja Vu with "Legendary Status" in Trap Team. Bushwhack was a Trap Master I wasn’t sure what to expect…He looked great, but the presence of the Axe made me wonder if he would be a slow and heavy hitter, or if he’d have some sort of a Stink Bomb like quality to him. With the unknown in sights, things slowly revealed themselves and the stars aligned to make Bushwhack a must own in my book. Bushwhack’s Primary Attack, “Traptanium Axe” is classic and straight forward. He has a big axe, swings it, and deals nice damage. The presence of a box-stock combo is a nice throw in imo. “Mystic Acorn” may not seem that great to many folks, but to me it is the perfect compliment to the axe attack. It doesn’t deal much damage, but it stuns enemies AND has great range. The axe swing is honestly fairly quick, but this combo of moves sets up for a very formidable 1-2 punch. Looking past that to the often overlooked and new for Trap Team “Jump Attack” you can find my personal favorite move of Bushwhack’s! You can jump and throw the mystic acorns, or swing the axe. If you swing the axe he does a powerful ground pound with it. I find myself using this more frequently than his standard attack! “Headbash” gets things off to a rocking start with Bushwhack’s Tertiary Attack in place. I’m not a huge fan of this move, but it is effective. “Nut Grenade” is up next and I am a huge fan of this one. Cosmetically the Mystic Acorns now glow an acid/nuclear green and do sizably more damage! “In A Nut Shell” is something I was ridiculously excited about…it promised “new armor” and “reduced damage.” I assumed this would be taking Bushwhack’s Armor Stat from 18 to 24, maybe even 18 to 30 (I didn’t expect the SSA Glory Days of +40). I was left in a flurry of disappointment as there is no measurable increase in Armor. I know this will work “in game” but I’ve found these types of upgrade (Armor and Critical Hit) are quite disappointing if you sit down and try to evaluate it in game…The tangible +6 or +12 is much more predictable and of greater value. The good news is that we end on a positive note with “Thorn Trail.” This upgrade has the axe swing’s leave a quick trail of thorns that do nice residual damage…This will work great against large groups of enemies! If you are fan of the Traptanium Axe attacks, this is the path for you. It turns Bushwhack into a super formidable Trap Master. “An Axe to Grind” just comes in and ups damage from 70-105 to 98-147…that alone is a very significant jump! “Combo Attacks” offer both “Spin and Slash which deals 186-279 and “Head First” which drops an astounding 245-367 with a follow up of 147-220! “Go Nuts” finishes the path off by allowing you to hold down “Attack 2” after “Spin and Slash” to spam Nut Grenades! Overall, this is a straight forward path with great increases and 2 more unique attacks. This path had me really excited…After getting “In a Nut Shell” in the base upgrades and seeing it had no measurable impact on Armor, I greatly tempered my expectations…I am glad I did. “Bush’s Shack” kicks things off and it is, in my opinion, the best thing about the path. By holding “Attack 1” you execute the standard attack and then see Buswhack kneel to the ground with a slam that ushers in a teepee of Life Element goodness (thanks Arbo!). Roughly every 4 seconds you gain +25 Health! I can only imagine that this will be even more useful in a Life Element Zone! You are susceptible to damage, but it seems to be cut roughly in half while in this state. That means that unless you are in Nightmare Mode, or Hard vs formidable minions, you should have health regen outweigh damage taken. “Primal Warrior” is up next and it came up flat. You get “new armor” but it once again fails to add the statistical rating and during my research I found it to be insignificant in terms of it’s functionality. The saving grace is that the move also includes an upgrade to Headbash damage that takes the attack from 75-112 to 100-150. “Spring Forward” finishes things off and offers a quick dash and Super Headbash. The dash can deal 40-60, but the Headbash stayed at 100-150. In my opinion, the best thing here is the increased speed in the short dash to potentially evade danger. The Soul Gem “Timber” is a really nice addition to either path! This reminds me of Villager’s attacks in Super Smash Bros. You jump and hold down “Attack 1” and Bushwhack plants a tree, and cuts it down. IF you are thinking, “Oh great, I have to wait for the tree, then go back to it and spend a few hits to cut it down” you are wrong! I also figured it would be a cumbersome Soul Gem and was pleasantly wrong! The tree grows instantly (provided you didn’t just do the attack and there are limbs on the ground) and Bushwhack automatically fells the tree. It is a big tree and subsequently covers a nice area upon impact. The most important thing though is that it deals 440-660 damage!! Bushwhack is a great addition to any collection and will provide a formidable ally when taken down the Axe Avenger Path! This is an old school, straight forward approach that simply delivers measurable damage and assets at each turn. It is my preferred path and what I would recommend to everyone, including rookie players. Armor Awesomeness is not a bad path, but it really fails in comparison to the epicness that is Axe Avenger. If this was the traditional +40 Armor from SSA, I’d say Bushwhack is a shoe-in for “get the Legendary figure and take both paths,” but since it fails to really deliver on the Armor front, you are left with the dash, increased headbash damage, and admittedly cool Bush’s Shack. If you like the headbash, or prefer dash attacks, this is well worth taking. Bush’s Shack might seem enticing, but keep in mind…in toughbattles, or nightmare mode you won’t be able to just retreat into it and fully regen with enemies on screen. You can, however, defeat them and then take a few seconds to fully regen if that type of play interests you. For me personally, Axe Avenger is just too proficient to pass up. That said, I’m glad I have Legendary to be able to enjoy Armor Awesomeness along the way!